In the last year, Wisconsin – a state once known as the “laboratory of democracy” – has undergone tumultuous change in the way it will conduct elections and consider public policy in the future. As a result, the core political fabric of Wisconsin – once heralded as a national model – has been dramatically transformed. Tens of millions of dollars will be spent by outside interest groups on advertising during the upcoming recall and general elections. 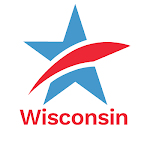 But the citizens of Wisconsin will remain in the dark about who is really behind this flood of “outside” campaign spending and the constant barrage of interest group “phony issue ads” we'll see in the run-up to these elections. In 2011, Wisconsin experienced the most secretive, partisan redistricting process the state has ever seen -- resulting in dramatically less competitive voting districts. Should redistricting be taken out of the hands of partisan legislators and put into the hands of a non-partisan entity to draw congressional and legislative voting districts? On May 25th, 2011 Governor Scott Walker signed the Photo Voter Photo ID Bill into law— a law that, if allowed to stand, will transform Wisconsin from one of the easiest states in the country in which to cast a ballot to the most restrictive state in the nation in which to vote. Will the new Voter ID law prevent voter fraud? Or will it disenfranchise students, urban dwellers, minority groups, the elderly and disabled -- and ultimately depress voter turnout in Wisconsin? Prior to 2011, public financing of statewide and legislative elections helped ensure that our legislators and our state’s highest court were beholden to the public rather than to powerful special interest groups for the financing of their campaigns. In fact, Wisconsin was one of the first states in the nation to implement a public financing system back in 1977. Yet Governor Scott Walker and his legislative allies gutted the state’s public financing system, including the new “Impartial Justice” Law" that provided full public financing to state supreme court candidates who agreed to abide by spending limits. Now that public financing is gone, should we try to reform our State Supreme Court election process or move toward a merit selection system? And finally, the U.S. Supreme Court’s decision in Citizens United vs Federal Election Commission allows corporations, labor unions and other interest groups to use unlimited money from their general treasury coffers to run outside communications, providing these entities with far greater influence on the outcome of elections at both the federal and state levels. How has the Citizens United decision affected Wisconsin and does it matter? Mary Kae Nelson - President of the League of Women Voters of Milwaukee County - will serve as Moderator. Campaign Finance and Election Reform Issues Take Center Stage at UWM on May 7thTweet this! i'm curious why the agenda makes no mention of the vulnerabilities of electronic voting machines. wholesale rigging of the voting count is the reality we face and there's even more DRE's that were sold to precincts across the state in the last year. when do we stand up and say it plainly, we need to get rid of the machines and outlaw them altogether (like several european countries did.) it is time for transparency in our election counting. it's our civic duty to vote; it would be a civic pleasure to COUNT the ballots with people again. if you would address this issue, you would really be serving democracy, because the press isn't covering it. at all. thanks.